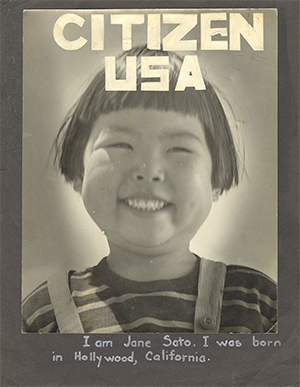 This exhibition centers on Citizen USA, arguably the first children’s book about Japanese American incarceration. In the book, written by Charles K. Ferguson while he served as director of adult education at the Manzanar concentration camp during World War II, Jane Sato, a young incarceree at Manzanar narrates daily life in the camp and also hints at the overall uncertainty ahead. It represents what life may have felt like for children in camp. Along with the book, additional artifacts from JANM’s permanent collection will also be exhibited for the first time. Please check back for more information about the exhibition.